Carbon is an element that has been used for a variety of scientific purposes over the years, like radiocarbon dating, which was developed around 1946 by Willard F. Libby. But in today’s pharmaceutical labs, carbon 14 plays a crucial role in drug development. And because of depleting supplies and increasing prices, carbon 14 production is at an all-time high. But what can carbon 14 be used for and how is it used safely? Let’s take a look at a few important things to know about C14 radiolabeling. Carbon 14 is often the element of choice when it comes to radiolabeling in drugs because of the ability to produce identical chemicals by substituting carbon atoms. 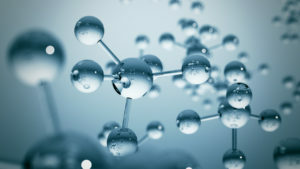 Because carbon occurs naturally in a lot of drug molecules, it can provide an easy radiolabeling site and can be more stable than other radioisotopes. Stability is absolutely essential, particularly during storage and when it comes to using radiolabeled compounds. And due to the long half-life of carbon 14, scientists don’t have to correct for decay if they’re using this compound in long-term studies. All in all, carbon 14 is versatile and can be custom prepared during GMP synthesis. C14 radiolabeling is essential for safe and effective drug development. And speaking of safe and effective drug development, adhering to GMP regulations is a major factor in pharmaceuticals. During manufacturing, the radiolabeled component of choice is generally only prepared and tested once in small batches. This means that the radiolabeled compound has to be manufactured correctly before it can be used. When carbon 14 is used, the C14 atom has to be in the right position and any impurities must be made known before the compound is used in drug development. But because C14 radiolabeling results in stable, effective compounds, it makes a great choice to be used when GMP regulations need to be followed. C14 radiolabeling is easier than using other compounds due to the ability to easily move the carbon atoms as needed. This makes carbon 14 the element that can be most effective in radiolabeling and drug development as a whole. ← What Exactly Is Radiolabeling?